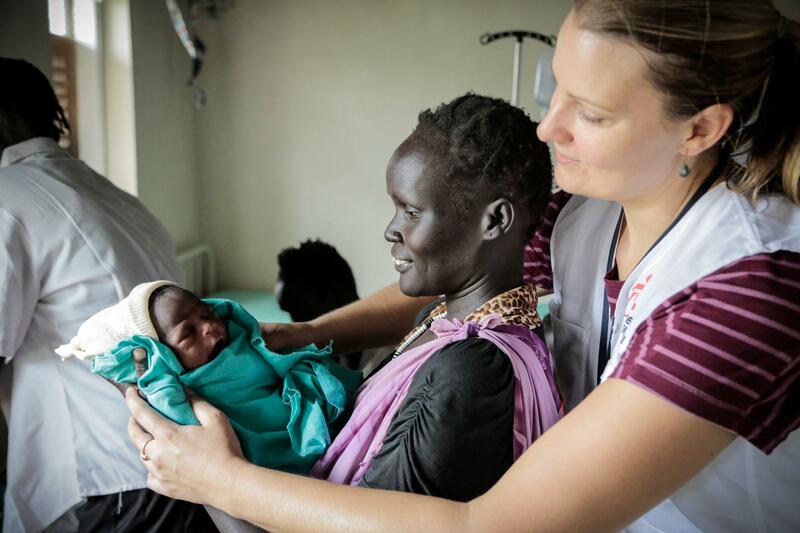 I did my first caesarean section in the field in Agok, during my first mission with Médecins Sans Frontières/Doctors Without Borders (MSF). They call the place ‘Agok Paradise’. In many ways it is. There was a 32-year-old lady who came to Agok hospital complaining of abdominal pain. Her pregnancy was estimated to be full term. "Generally speaking, a baby cannot come out sideways. It has to be head or feet first. It’s a matter of simple physics." "That doesn't make any sense"
"I try to see the upper end of this 'mass' only to find what I think should be the gall bladder. Only, it's crying." To put things into perspective, pregnancy outside the uterus, or ectopic pregnancy, accounts for one to two percent of all pregnancies. Most of the time, it’s in one of the fallopian tubes. Only one percent of ectopic pregnancies grow in the abdominal cavity as abdominal pregnancies. And even a smaller proportion of those reach full-term. It is a very rare occasion. Here's the baby, fast asleep! The crying gall bladder was the head of the baby. The mass above the uterus was the placenta. We got the baby out, and we carefully removed as much of the placenta as possible without causing bleeding.